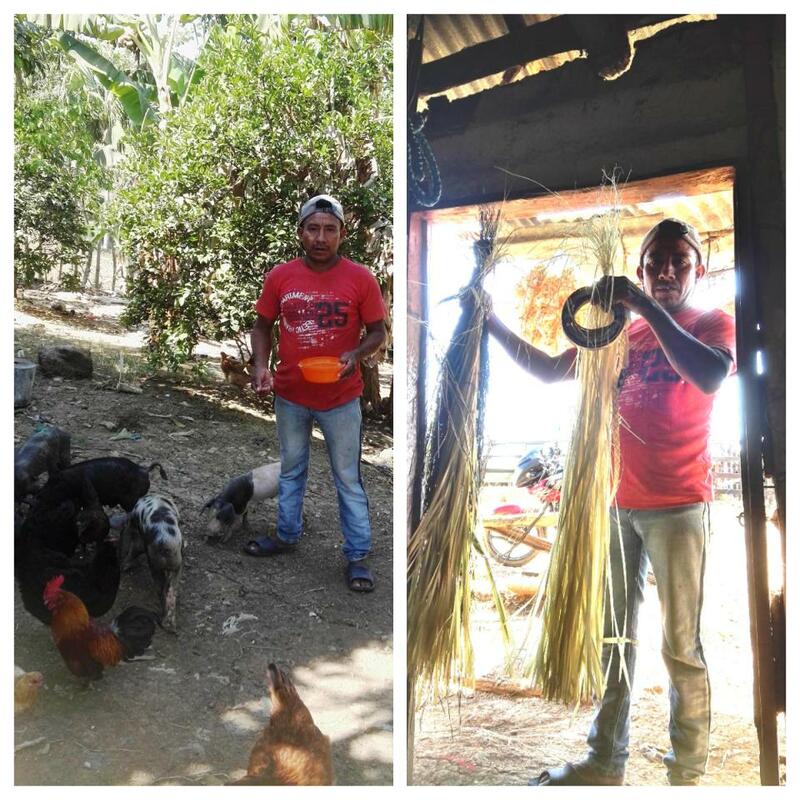 A loan of $350 helped to buy more caña flecha (tall grass) to increase hat production, buy more chickens to raise, and to buy fertilizers for his yucca and corn crops. Ariel is 42 years old and lives in the municipality of Tuchin in Colombia. He has 6 children, and a big family that he loves very much. It hasn’t been easy for him, being a humble man with such a big family, but he’s very hard working and responsible, and he always provides for his family. They never lack food or a roof to sleep in. Ariel doesn’t want to live with just the necessities, he wants to provide a better life to his family, and that was one of his biggest motivations when he decided to become an entrepreneur, making traditional hats, raising chickens, and growing different products. Ariel lives in a post-conflict zone which means that the armed conflict ended and the community is recovering from that horrible time. He’s asking for a loan to buy more caña flecha (tall grass) to increase hat production, buy more chickens to raise, and to buy fertilizers for his yucca and corn crops. Support this loving father and loan now. It helps internally-displaced people in Colombia rebuild and sustain their livelihoods. By supporting this loan, you're helping internally-displaced people in the rural, post-conflict regions of Colombia develop their businesses and provide for their families. Currently, 15% of Colombia's population has been displaced by the civil war and does not have access to financial services. This loan helps low-income, displaced Colombians restart their lives and integrate into their new communities. If this loan is structured on Kiva as a bullet loan (which means a single payment is required at the end of the loan term), it is because Interactuar sometimes has to offer borrowers loans with a variable interest rate that fluctuates with the market rate. In these cases, because fixed monthly payments are applied first to interest and then to principal, Interactuar is unable to predict upfront what portion of each repayment would go towards the loan principal. This creates a challenge with Kiva's system, which doesn't allow for unpredictable principal payments, and can result in some Interactuar clients appearing falsely delinquent. To remedy this, the loan has an end-of-term repayment plan on Kiva, but the borrower will continue scheduled monthly repayments to Interactuar, who will then pass along the principal amount to Kiva lenders. This means that you may see repayments made on this loan throughout the repayment term, as opposed to receiving repayment in full at the end of the loan term. Kiva chose to work with Interactuar because of the incredibly strong client training and business development services they provide. Interactuar has developed a strong model of providing very high quality, professional training courses and one on one technical assistance to low-income entrepreneurs in the Antioquia region of Colombia. Interactuar's business development services are unique and go above and beyond what most microfinance institutions provide. By supporting Interactuar entrepreneurs with 0% capital, Kiva lenders are helping Interactuar offer more of their high quality business development services to micro-entrepreneurs around the region.